Like moths to a flame people are drawn to light. 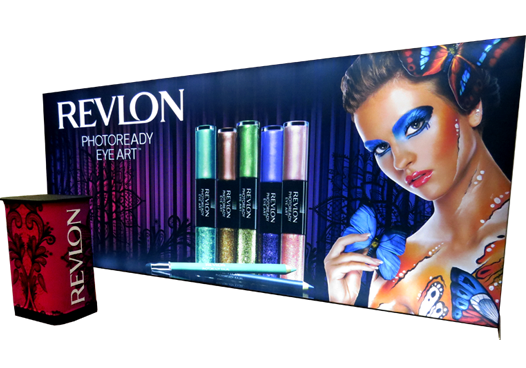 Stand out at your events with an astonishing LightWall backlit display. LightWall will enchant, engage and energize your audience. Our new series of dazzling display walls combine seamless edge-to-edge imagery with true white LED lights to boost graphic impact. The reaction you receive will be priceless! 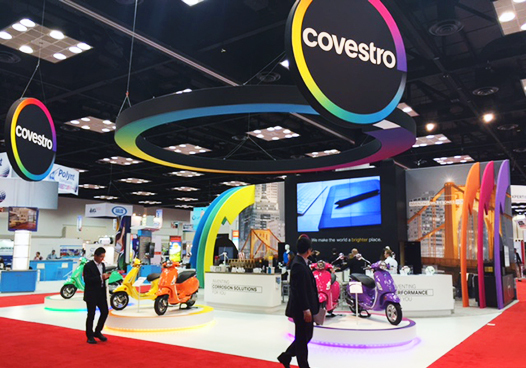 At the American Coatings Show 2016 In Indianapolis, IN., Innovation Exhibits worked with Covestro to design a 40' x 40' island exhibit to showcase their coating products. Exhibiting at trade shows can be overwhelming. Let us guide you through the entire process. Our skilled design team works with all exhibit types, building to message, traffic flow and booth position. 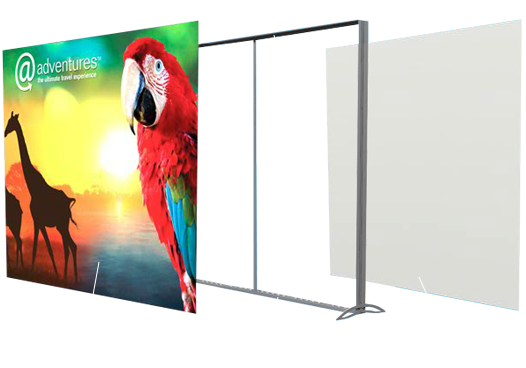 We have the capability to build your custom exhibit, modify your existing exhibit, or blend the old with the new to meet your needs. Our exhibits are fully inspected and maintained before shipping, helping you avoid costly glitches. When your competition’s bringing its A-game, your success depends on being able to stand out from the crowd. At Innovation Exhibits, our success is measured by helping you make a knockout first impression that keeps your customers coming back. Our custom-designed trade show exhibits provide each customer with a unique presence that pairs industry-specific amenities with the highest quality products. From banner stands and light-weight portables to outstanding modular exhibits, we deliver an unquestionable design with the kind of personal touch that you can only get from a family-owned business. 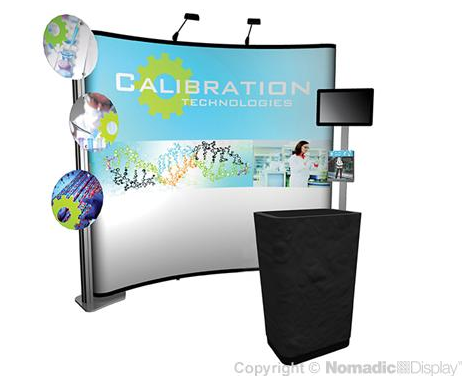 to start building your innovative trade show solution today. Need assistance designing and pricing your innovative solution? Browse our full catalog.